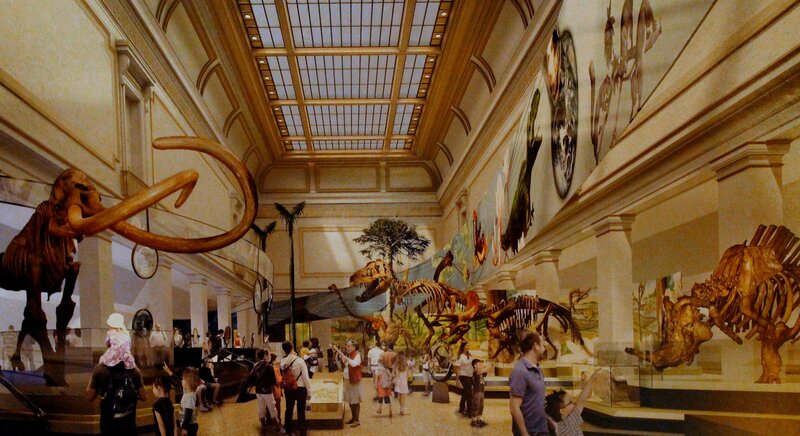 This early artist’s conception of the new NMNH fossil hall was on display on closing day. Way back in 2012, I wrote a series of posts on the history of fossil displays at the National Museum of Natural History. Now that the old exhibit is closed for five years of renovation, it seemed like a good idea to go back and revise the old articles. That, and it can be very painful to read things I wrote over a year ago. Each of the seven posts, plus the launch page, have been substantially updated with new information, new images, and less abuse of the passive voice. You can check out the new articles via the Extinct Monsters link at the top of the page, or by clicking here.